Today I teamed up with my friends at Ocean Spray to share with you the newest product on the market; PACt™ cranberry extract water. I am pretty stoked about PACt™ cranberry extract water. It’s light, refreshing, deliciously hydrating and it has a slightly tart, yet a refreshingly robust fruit flavor. Each bottle only contains 10 calories per 16-ounce bottle. The new water from Ocean Spray that contains the Power of 50 Cranberries™ to cleanse and purify your body better than water alone. PACt is perfect for drinking after a work out, to have with any meal or when you need to quench your thirst. I’m drinking The Cranberry Pomegranate as we speak and I love it! It is slightly tart, a little bit of sweetness and a nice pomegranate flavor. 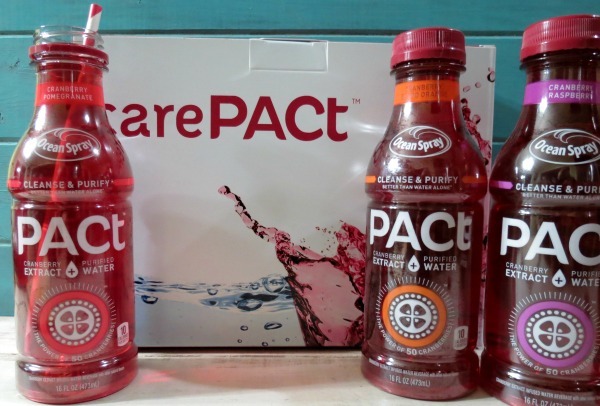 PACt comes in 4 flavors; Cranberry Pomegranate, Cranberry Blood Orange, Cranberry Mango Passion Fruit and Cranberry Raspberry. The Cranberry Blood Orange is amazing!! I think it’s my favorite. On Thursday, October 23, 2014 best-selling author and TV personality Maria Menounos and Ocean Spray are inviting Californians to join them on Hermosa Beach, for an #EvenBetterBeachBash, where they will learn how small steps—like healthy hydration—can help make their lives even better. Join local fitness gurus Cassey Ho, Gina Harney and Ashley Turner as they lead you through six 45-minute yoga, pilates and fitness classes throughout the day – you might even get the chance to sweat next to Maria Menounos. Californians can register online at http://bit.ly/PACtFitness for free fitness classes on the beach – all while basking in the shadow of a 61-foot tall cranberry! I would love to attend the event! It sounds like so much fun! In between your workout on the beach, you can enjoy sipping on PACt™ cranberry extract water. 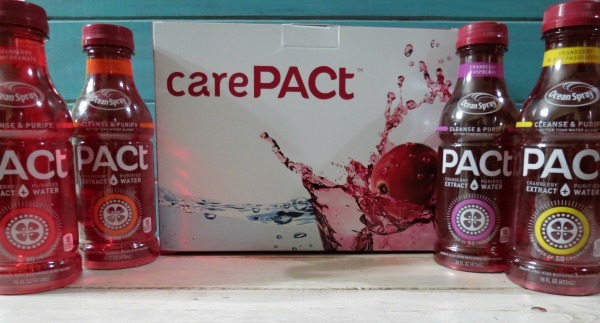 Ocean Spray is giving one lucky reader a PACt™ cranberry extract water Care Package and a $50 gift card for Amazon! Perfect for the holidays. To win all you have to do is tell me what your favorite exercise is. 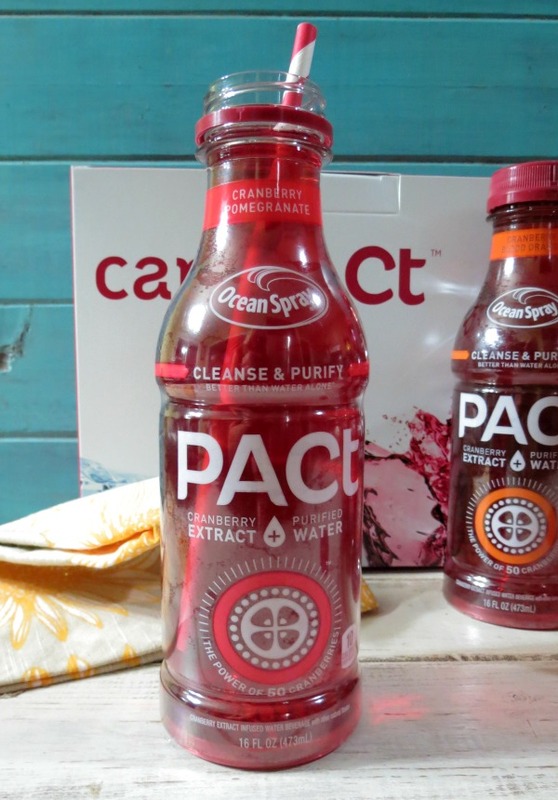 Look out for PACt™ cranberry extract water in the water aisle at Target and all major retailers throughout California and Nevada. It will be available Nationwide in 2015. 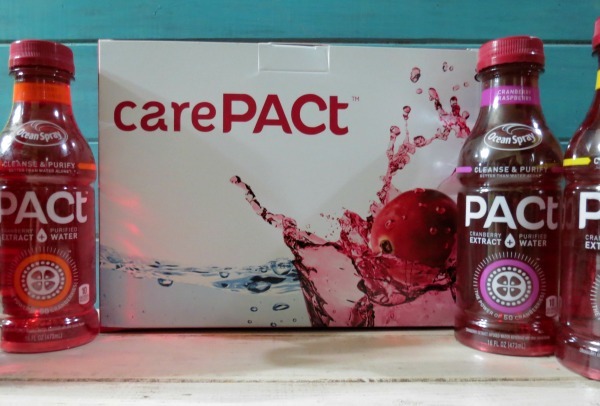 Visit PACt.OceanSpray.com to learn more about PACt™ cranberry extract water and find it at a location near you, or order online. This is a sponsored post from Ocean Spray. My favorite is probably power walking with my children. Dance DVD’s, Jillian Michaels DVD’s, and hiking in the fall! Love power walks to the gym and then doing a circuit of weight training. My favorite exercise is running- it’s a great way to relieve stress as well! My favorite exercise is running. I love hula-hooping! It’s so much fun. My favorite exercise is swimming and the treadmill! My favorite exercise is step aerobics. I absolutely love jogging outside. I like to try different paths all the time and explore new locations. Walking is my favorite exercise! I love cranberry and I’m eager to try this water. Thanks for the giveaway. Walking. The whole family, including the dogs, can enjoy it. I am from India and I love Yoga! Its the best exercise for a healthy mind and body. My favorite exercise is definitely yoga! My favorite exercises are walking and doing set ups. I have been doing the Insanity videos. They are challenging, but I am loving them! I enjoy running the best! My favorite exercise is walking. Sometimes me and my wife will go walking for hours. It seems like the conversation is better when we are out alone walking and talking, plus it is healthy. Running gives me the best exercise high! I like to go on nature walks.